Are you looking to visit the beautiful fortified town of Bourtange in Groningen, The Netherlands? Bourtange is a perfect day trip from Groningen city. Here you will find all the things to do, best accommodation, etc. in Bourtange. Bourtange is a beautiful fortress in the province of Groningen, The Netherlands. Here you will find all the events that take place in Bourtange, Groningen. But also, the best things you should do when visiting this star fort in The Netherlands. And great accommodation options within Bourtange. 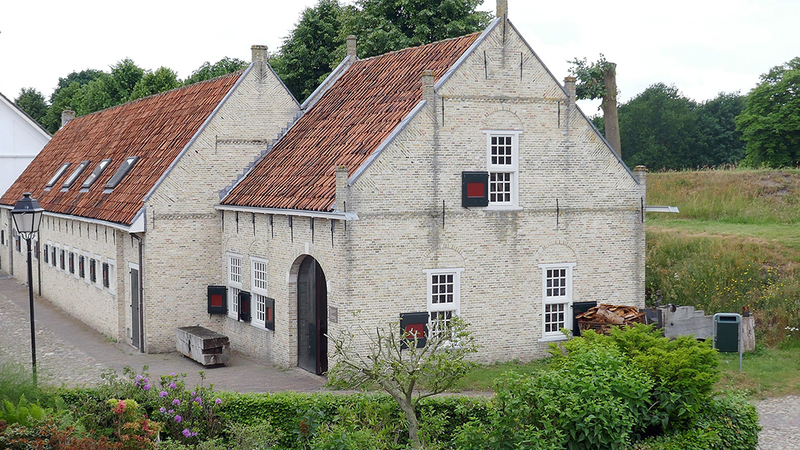 The current fortress of Bourtange is based on drawings from the fortress of 1742. And if you wonder whether Bourtange is unique, then yes. Nowhere in The Netherlands, you will find a completed bastion like the one of Bourtange. And nowadays this fortified city in the province of Groningen, The Netherlands, is inhabited again. As you walk through the beautiful bastion fort of Bourtange you will find plenty of beautiful buildings. Most of them are military buildings that have been turned into museums, information centres and restaurants. You can easily spend half a day or a full day in Bourtange and surroundings. Bourtange has to be one of the most beautiful villages in the province of Groningen, The Netherlands. 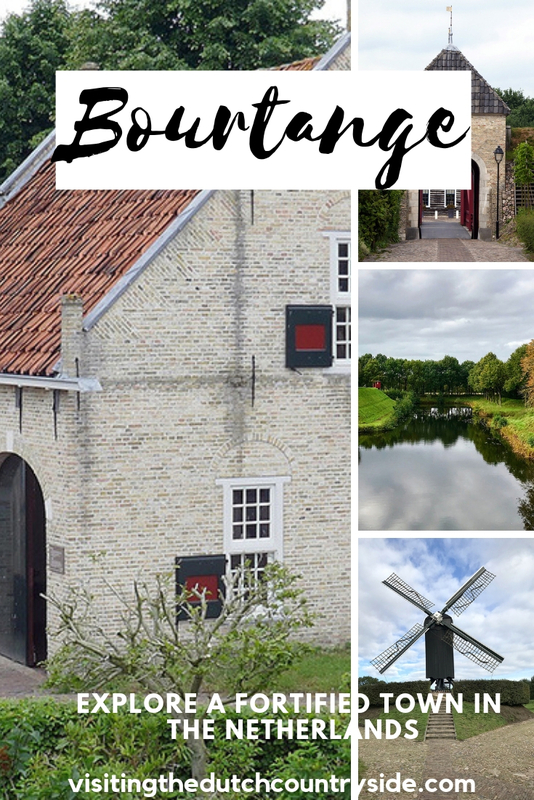 If you’re looking for great things to do in Groningen or day trips from Groningen, then visiting Bourtange is a great idea. If you are early you won’t find any other tourists. One downside of visiting this fortress in The Netherlands early is that the restaurants and cafes only open from 10:00. So, you’d have to explore Bourtange before getting your morning coffee inside one of the beautiful historic houses. You can see the magic of Bourtange the best from the sky, as you can see in this beautiful photo below. The fortified city of Bourtange in Groningen has a rich history. 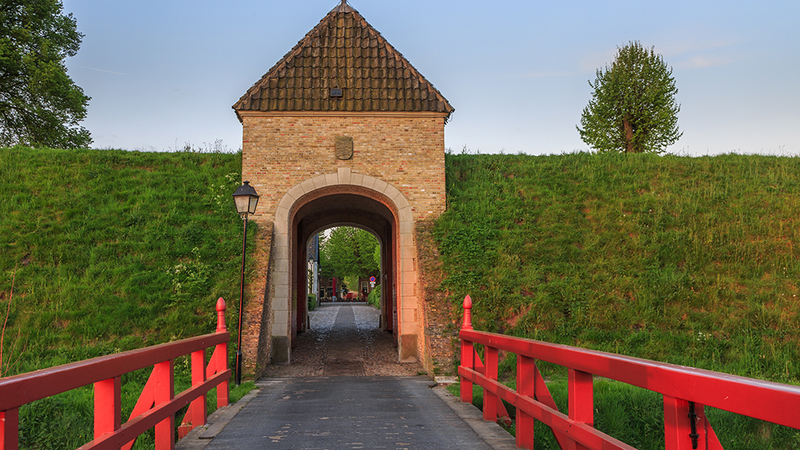 One part of the fortress of Bourtange, the ramp with five bastions, was created in 1580. It was built on a route that connected the city of Groningen with Lingen and Westfalen and was located in a swamp. The reason for the creation of Bourtange was that Groningen was under Spanish occupation at that time. But Willem van Oranje didn’t want the same faith happening to Bourtange. At the same time, Willem van Oranje wanted to annoy the Spanish a bit more. With the creation of Bourtange, he occupied the only route the Spaniards could use to supply Spanish Groningen from Germany. Through the marsh, there was one narrow sand ridge and only at the location of Bourtange, it was big enough for two carriages to pass each other. With the creation of Bourtange, he blocked the road and isolated the city of Groningen. The location of the fortress of Bourtange has always been very strategic and was surrounded by a swamp. There were never big battles held around Bourtange. One time a bishop of Munster wanted to go to Groningen. He thought that buying the road through Bourtange was a great idea. This way he could travel faster and wanted to pay 200.000 guilders. The commander of Bourtange let him know that he could get 200.000 bullets instead. The bishop didn’t try it again. That already says something about the mentality that existed in Bourtange. As the swamp dried out and the power of guns increased, the significance of the fortress of Bourtange decreased. Over the years Bourtange has been extended. But finally, in 1851, the fortress was dissolved. After that farmers, workers and traders came to the fortress. But this was only for a short while and people eventually left the bastion. Around a century later people began to make plans to reconstruct the fortified village. So that’s what happened. Between 1972 and 1992 Bourtange was reconstructed into the fortified village of the year 1742. That was when the fortress of Bourtange (Boertang in Gronings) in Groningen was at its biggest. And when Bourtange had the most power. People not only reconstructed the unique historical defence work but also recreated a swamp. As the fortress of Bourtange in Groningen, The Netherlands, was restored it opened up to the public. If you’re looking for the information centre of Bourtange, you can find it at the parking lot. You can also take a guided tour from the centre. Via the information centre you will walk through three red bridges to the fortified town of Bourtange. The entrance to the fortress of Bourtange is free, however you have to pay for the museums. You can buy an entrance ticket for all the museums for 6 euros at the information centre. There are plenty of things to do in Bourtange, Groningen. The drawbridges are beautiful to look at and what to think of the windmill. There’s a candle factory that can be visited, but don’t forget to discover the picturesque buildings. You can also visit farm De Sikkepit. At this farm there is an exhibition space and you can even rent canoes here. So when the weather is beautiful you can enjoy Bourtange and the surroundings even better, by canoe. This gives you a whole other experience than just walking through this fortified town in Groningen, The Netherlands. On the Marktplein you will find a few shops, a cafe and restaurant, museums, the candle factory and much more. You can even find sixteen 350-year old trees at the Marktplein. Can you imagine what they’ve seen in their lifetime? Me neither. There are souvenir and clothes shops and even a shop where you can buy typical old Dutch candy. You should definitely buy this as a souvenir, although I’m not sure if you’re able to take it home. They are just too tasty. Walk along the trees inside the fortified city of Bourtange. Discover the magical city. Pretend to fire cannons. Explore. The entire fortified bastion city of Bourtange is a monument, with a great reason. There’s no need to tell you the most beautiful streets, because no street can disappoint you. What I found interesting is that the church is not located in the middle of the square like in most old towns. Instead, the church is a bit hidden away. But you will be able to find it no matter what, as the city is pretty small. All the accessible roads inside Bourtange will lead you to the Marktplein, whether you like it or not. This square is the heart of the village. A thing that I also really liked is that the volunteers in Bourtange wear old traditional clothing of the year 1742. You will find that during November and December the shops are only on Saturday and Sunday from 11:00 – 16:00. As of today you will find six museums in Bourtange that you have to visit in order to completely understand the history and present day of Bourtange, The Netherlands. The museums are Terra More, Museum De Baracquen, The Synagogue Museum, De Dagen van Roem, Het Nieuwe Kruithuis and the Captain’s House. They will tell you stories and give information on the life of the inhabitants of the former fortress, of the extensions of the fortress and plenty of more. 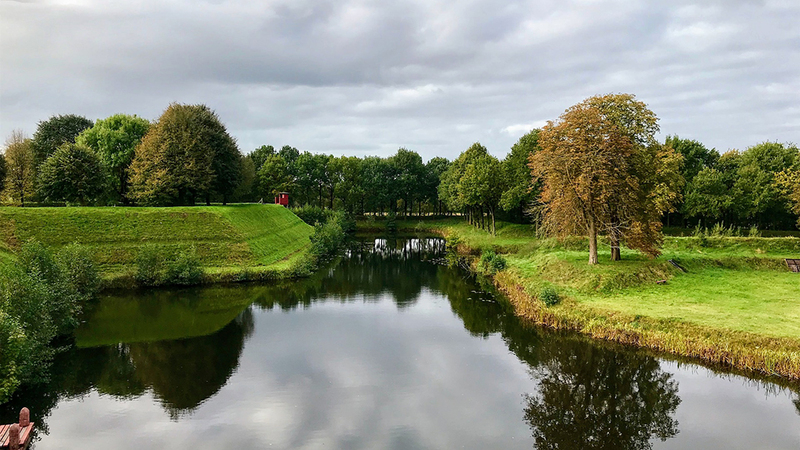 You will explore a former soldiers’ residence and explore finds of the fortress that have been discovered during the reconstruction of this bastion fort in The Netherlands. In the area of the fortress of Bourtange, you can go for several beautiful walks. One route is 8km long and will take you through Bourtange and a nature reserve. In the old days, the swamp was made into a part of the defence work. Nowadays some developments have happened to this area and as a result, you can find various, rare plants and animals in this nature reserve. The nature reserve is located East from the fortified city of Bourtange in Groningen. Ten years ago, there was no nature reserve in this area at all. The land was used for agricultural purposes. It’s hard to imagine that a big part of the nature reserve was farmland 10 years ago. Which makes it one of the things you must do when you’re visiting Bourtange for one day. 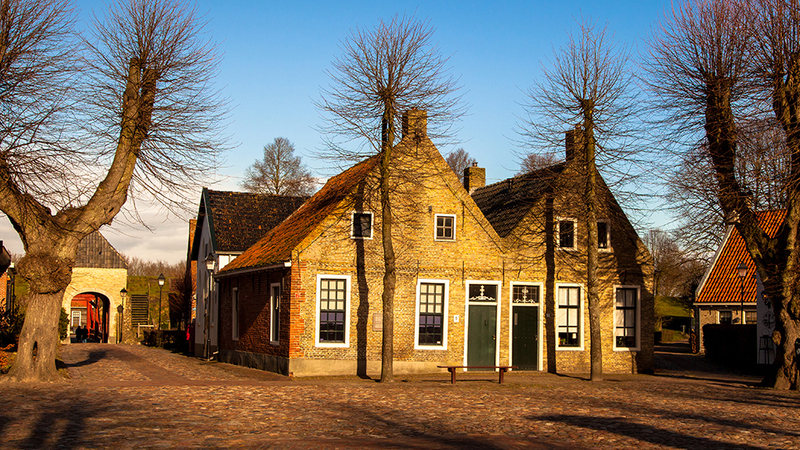 At the information centre of Bourtange, you can find several walking and cycling routes. You can find one of the online walking routes here. The notes are in Dutch, however will still be able to walk the route. The best way to really see the spectacular bastion fort of Bourtange is from the sky. There is the possibility to take a flight from Oostwold Airport over Bourtange and the surroundings. You will fly over the provinces of Groningen and Drenthe. The following cities are on your route: Hoogezand-Sappemeer, Assen, Beilen, Odoorn, Emmen, Ter Apel, Sellingen, fortified city of Bourtange, Bellingwolde, fortified city of Oude Schans and Finsterwolde. In total this flight will take you around 60 minutes and the price is 315 euros. Not per person, but for three people. For more information click here. You’d have to use Google Translate on the website as it’s all in Dutch. Whether you arrive early in the morning and are looking for a cup of tea or coffee. Or when you want to get dinner in Bourtange before heading back to your accommodation. There are two options for dinner and drinks, both options are very reasonably priced for the quality of food. During the high season (spring and summer) they are opened 7 days a week. During low season (autumn and winter) you will notice that these restaurants open less and later, plus close earlier. But there are always at least one of the two options open on a day in the low season. This restaurant used to be the place for administrative works and a place for officers to stay in. nowadays you can eat your heart out in this restaurant. You can find this café at the Marktplein. For a nice lunch or a drink, Eetcafe ‘t Oal Kroegje is your perfect café in Bourtange. When you’re visiting Bourtange it’s great if your accommodation is as close as possible. If you’re looking for the best accommodation options in Bourtange and its surroundings, then continue reading. 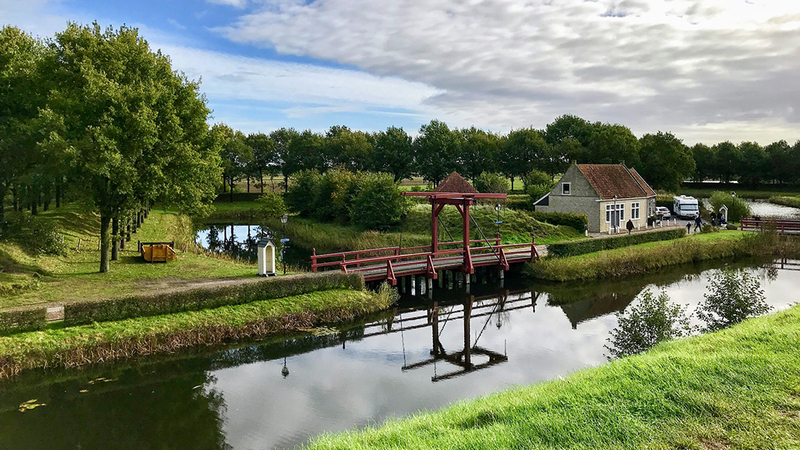 Here you will find a B&B, a hotel and plenty of more options to stay in Bourtange and its surroundings. Disclaimer: These links below are affiliate links. This means that when you book through my links I get a small commission at no extra cost to you. Click here for a full disclaimer. H.R. de Staakenborgh, click here for the availability and current prices. Vlagtwedderstraat 89, click here for the availability and current prices. Hotel Vesting Bourtange, click here for the availability and current prices. Hotel Bourtange, click here for the availability and current prices. Restinn Bourtange, click here for the availability and current prices. From Groningen to Bourtange: Take the train from Groningen main train station in the direction of Winschoten. Get out at Winschoten. f`rom here take bus 14 in the direction of Vlagtwedde. Get out at Bushalte Marke, Vlagtwedde. Take bus 11 in the direction of Bourtange. Get out at Bushalte De Vesting, Bourtange. From the bus stop it’s a four-minute walk to the fortified city of Bourtange. This will take you around 1:20. 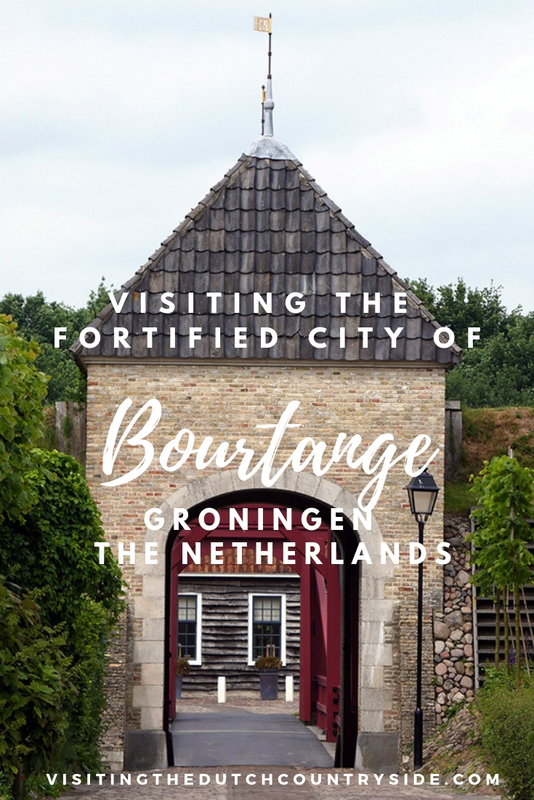 Have you ever heard of the fortified city of Bourtange in Groningen, The Netherlands, before? If so, have you visited already? And if you’ve never heard of this beautiful city, is it on you bucketlist now? Have a look here for more things to do in Bourtange. Share this post!